The shoot of Rajamouli’s ‘RRR’ is progressing at brisk pace with Ram Charan participating in. 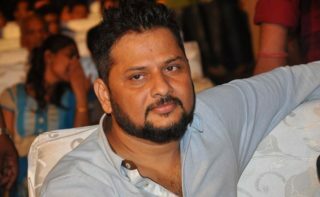 But the other lead star NTR is missing from the action. NTR left for a foreign trip on Monday. He was spotted at Rajiv Gandhi International Airport, Hyderabad leaving for Dubai. 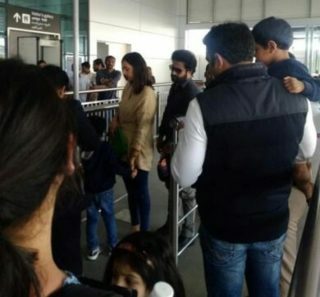 His wife Lakshmi Pranathi and his son Abhay Ram also accompanied him. Buzz is that NTR will buy some special equipment and also some clothes for “RRR”. He generally shops in Dubai for his personal consumption but this time he went there for the movie work. NTR doesn’t have to participate in the current schedule of “RRR” as Rajamouli is filming some action sequences related to Ram Charan. “RRR” is a period drama set in 1920’s. The entire film runs in British era. Being made with Rs 300 Cr, the action drama will have leading Bollywood stars as its female lead. The heroines are not yet finalized. 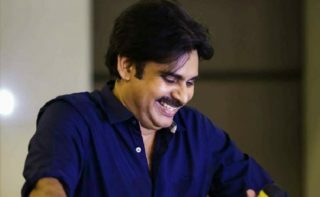 Three Films Getting Ready For Pawan Kalyan? Can Harish Pull Off Coup In TRS? 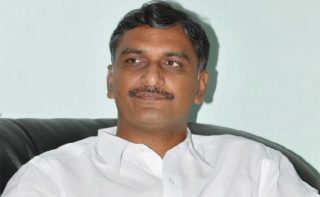 Congress May Dump Naidu For Jagan? KCR to neutralize Naidu role in Delhi? KCR to Tour States for Federal Front Again?